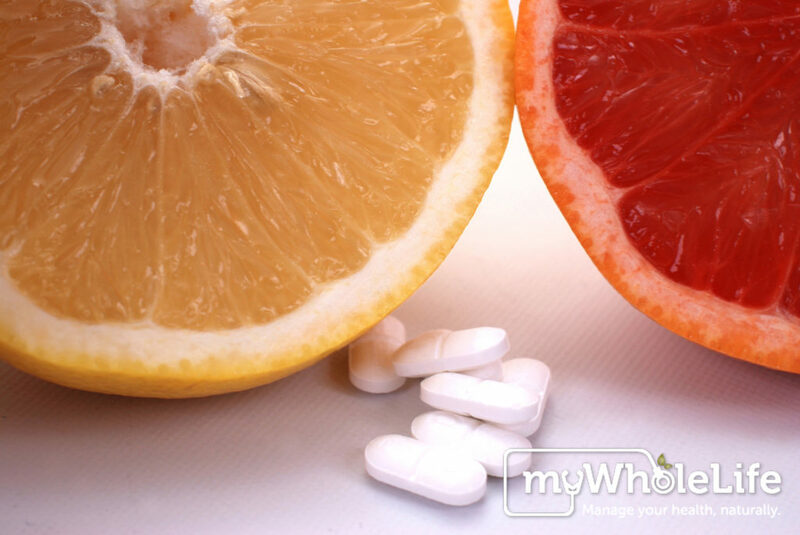 Grapefruit: Grapefruits and the juice that they contain interact with a variety of different medications. The juice alters the way your liver filters drugs through your system and changes the way in which your body metabolizes drugs. The overall effects of certain drugs can increase up to five-fold when taken with grapefruit juice and people taking statins, antihistamines, psychiatric drugs, immunosuppressants and calcium channel blockers should talk to their pharmacists before consuming it. Dark Green Veggies: Dark green veggies such as kale, broccoli spinach and swiss chard are rich in vitamin k. Vitamin k plays an essential role in the formation of blood clots and eating high levels of vitamin K can interfere with blood thinning medications. If you’re currently on blood thinners, don’t avoid these highly nutritious vegetables, instead try to keep your portions and intake consistent and not overload on them on any given day. Red Wine: Red wine is a potent source of the antioxidant compound resveratrol. For most people, resveratrol can help reduce the risk for cardiovascular disease, but you should consume it in moderation if you’re taking anticoagulant drugs, because it can increase your risk for bleeding. Resveratrol is also chemically similar to estrogen and high doses (in supplement form especially) may be contraindicated in women trying to get pregnant and in woman with estrogen-sensitive cancers. Caffeine: Caffeine is stimulatory in nature and it increases the effects of stimulatory drugs such as methylphenidate (Ritalin); combining the two can make side-effects (such as rapid heart rate and jitteriness) more pronounced. Caffeine also decreases the effects of hypnotic, sedative drugs such zopiclone (Imovane) and it can intensify the effects of psychiatric drugs including antidepressants, antipsychotics, and antianxiety medications, leading to a worsening of side-effects. Finally, caffeine can interact with a class of antibiotics called quinolones, resulting in stimulatory side effects. Ginseng: Ginseng can interfere with blood thinners such as warfarin, heparin and aspirin; and non-steroidal anti-inflammatory drugs such as ibuprofen. People taking MAO inhibitors should also talk to their doctors before consuming ginseng because combining the two can cause unwanted side-effects such as nervousness, headaches, insomnia and hyperactivity. St John’s Wort: St. John’s Wort , interacts with a wide-variety of medications including anti-depressants, digoxin, cholesterol lowering drugs, blood thinners, anti-seizure medications, immunosuppressants, birth control pills, antihistamines and erectile dysfunction drugs. The herb increases the activity of liver enzymes that filter out medications which can result in a reduction of the concentration of those medications in your blood. Due to the wide range of potential interactions, you should check with your health care providor before mixing any medications with this herbs.